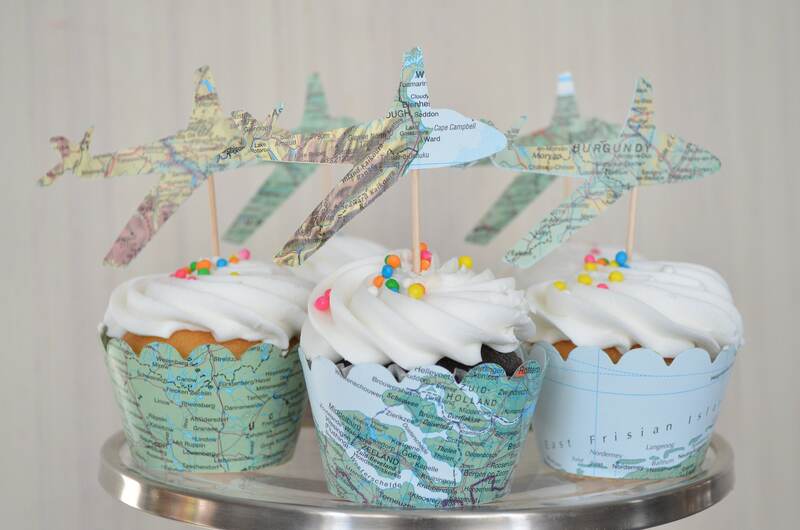 Vintage Map Airplane Cupcake Toppers - Perfect for weddings, birthdays, baby showers, and much more! 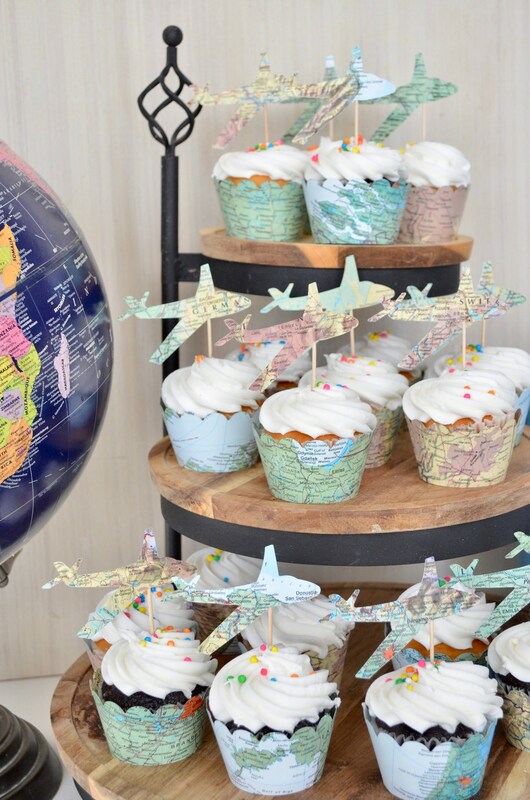 A whimsical set of airplane shaped cupcake toppers that will make your party soar! 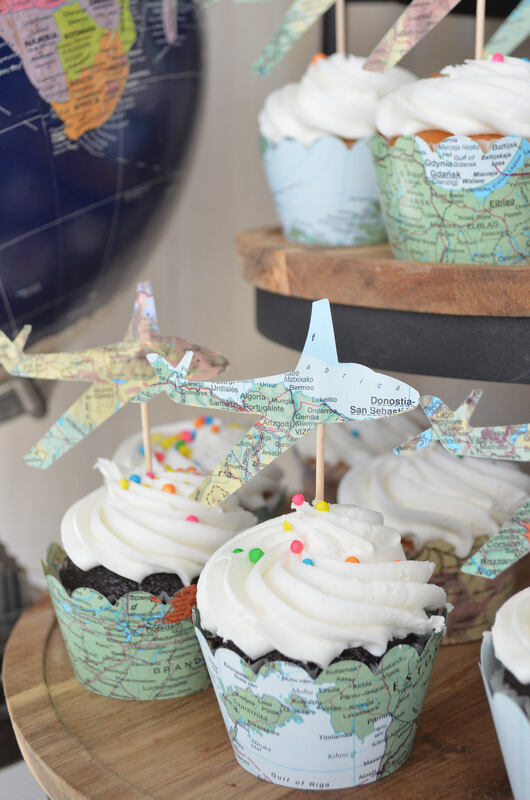 Each pick is made using airplanes cut from delightful vintage map paper and is double sided (so that there isn't front or back - they look amazing from every angle!). 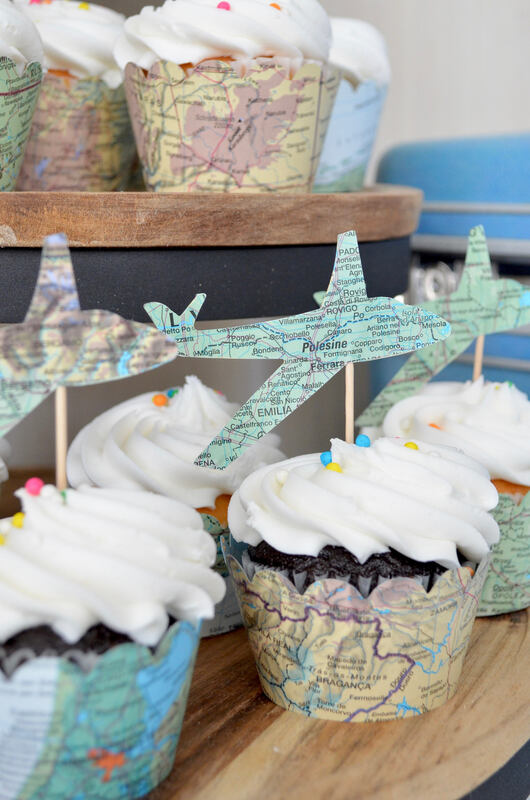 Each paper plane is 3 1/4" across and you can choose from quantities of 12, 25, 30, 50 or 100 (are you looking for a different quantity or different colors? 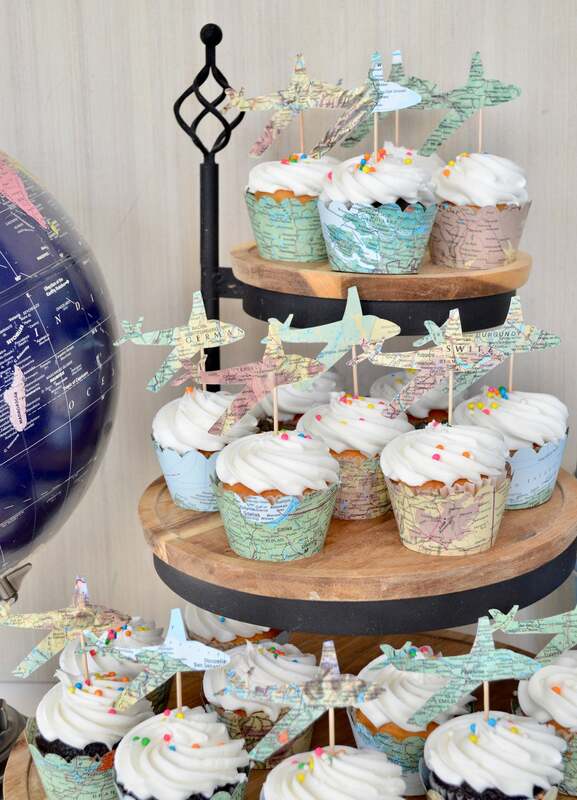 Send us a note and we'll get a custom listing set up for you - we love custom orders!). 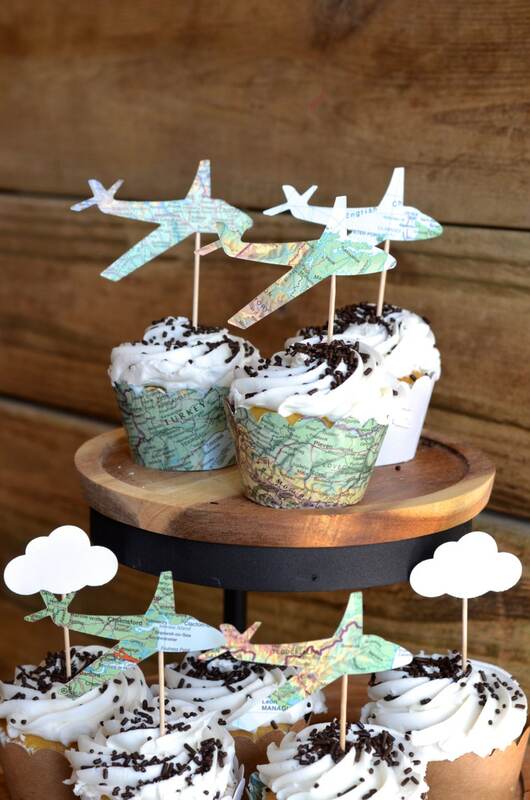 I used the airplane, clouds, and heart vintage map cupcake toppers and they looked perfect. 10/10, brought my party to a whole other level. Everything arrived beautifully packaged and just like the pictures. Really cute product. Arrived quickly. 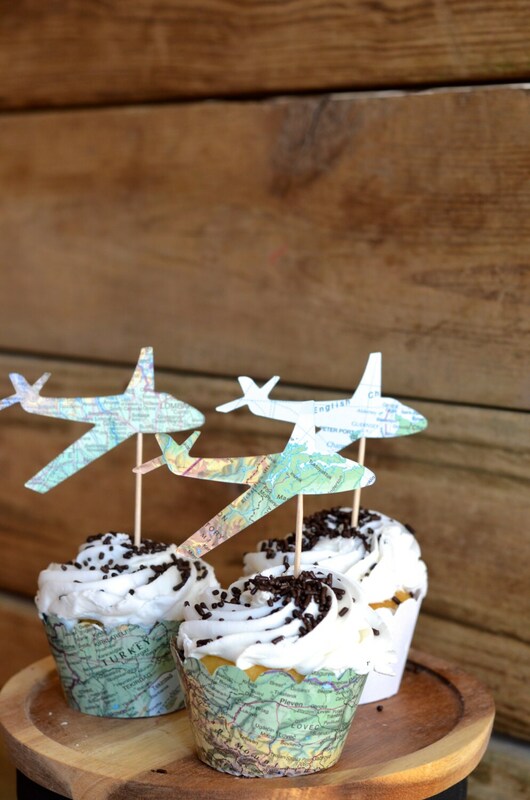 perfect for my party to use as cupcake toppers and other decorations. Shipped within 10 days of ordering! Love them!